This report prepared to provide the information of RWD (Responsive Web Design) principles to design and develop the web pages. We identify and review the nominated website GumTree in this assignment with the help of RWD principles and chrome device simulator tool. As we know that the mobile companies are rapidly increases day by day and they are launching many mobiles, smartphones, tablets, etc. with lots of features so people are attracted towards them and they are like to use smartphones for their various uses like internet, web access, gaming, etc. In the past days web are accessed only in the laptop, PCs, etc. The screen sizes of devices are fixing so web pages are developed for the fix size of screen. But now a days device screen sizes are vary due to mobile resolutions so the peoples need the responsive web design for design and developing the web pages. The responsive web design is the principles of designing the webpages. 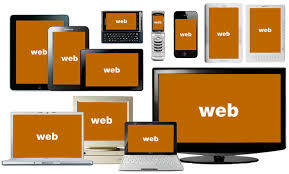 It is all about using the webpages across any or multiple devices. Advanced search module: The website provides an advance search module to the user so that user can make their search under selected category and also select the area. SEO/SEF optimization: The website is very SEO friendly and fully optimizes so that when the user search it on the browser they will easily get the website and access it. Social share: The website allows the users to share their products and services on various social sites like Facebook, twitter, Google+, Instagram, etc. Membership: The website offers the personal account facilities to its regular user for their membership and registration. Promotions: Users can also promote their products and services on the website by choosing the ads posting categories on the website before posting the ads. Image optimization: The website allows the users to optimize their product image on the website while posting the ads. 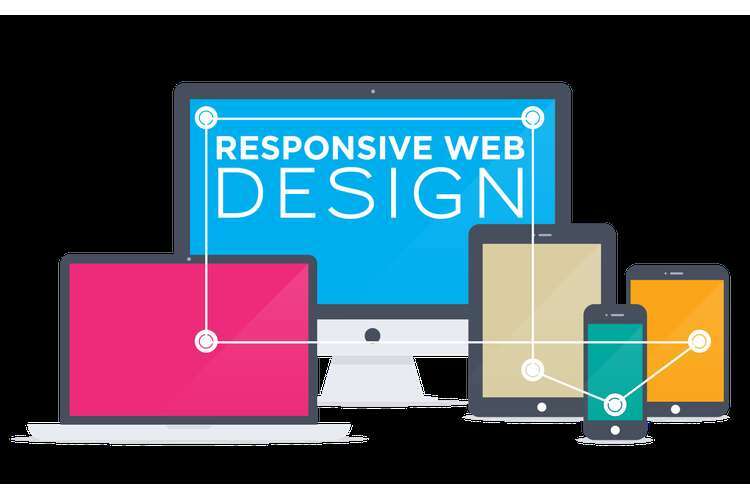 Responsiveness: The design of the website is fully responsive for all the type of devices. So that user can access the website in any devices. Various payment plugins and third party integrations: The website provides the payment plugins facilities to its user and third party integrations for the payment such as: PayPal and others. Guest users to Post ads: The website also provides the post ads facility for the guest users. Clean & Clear logo: The website logo is kept very clean and clear so it is easily understand by the user and remembered by the user. It also helps to enhance the memorability property of the website. The website logo is the business identity or business card for any website which is necessary for any website or business. so this is the one of the main features of the nominated website. Mobile responsive: The nominated website GumTree is fully mobile responsive so that user can feel comfortable to use the website in any device. Broken Links: There is no any broken or dead links in the website. Clear: The website interface is kept clean and clear while designing and developing the webpage. All the contents are well arranged. Simplicity: The design of the website is very simple and focusing on the main aims and don’t distract them to do the things which they more like to do. Consistency: The website is consistent for the users, which creates a consistent experience across the entire website to keep the visitors mind at ease. Good information architecture: The information architecture of the website is good, so that user can easily understand the content of the website. Learnability: The learnability of the website is good because the users don’t need any further instruction to access the website just because of its simple and easy to use interface. Delay in loading of page: The websites takes some time while loading the webpage on the browser, so that user has to wait while accessing the website. This may be irritating sometimes for the users. Don’t have the direct feedback option: The website doesn’t provide the direct submission of their review and feedback, so that user not comfortable in review the products and services on the website. Text color: There is most of the place on the website where the color of the text is not clearly visible by the users which may irritate the user. When we ask to Peter to review the website, Peter said at first the website is good as it is a classified website. But there is too much content in the some pages of the website which may confuse the users and text color of the website is also of some pages are not clearly visible because of their background color of body of the website. Except he said, he test the responsiveness of complete website with the help of Chrome device simulator. All the web pages of the website are responsive for all the device and size of screens like large, medium, and tiny screen. So the website is good in design but some content have to being visible on the website. He also said the website takes time in loading the webpages on the browser. When we ask to Andrew to review the website, he said that, he checks all the aspects of the website by visiting each and links of the website. He also checks all the individual page of the website and test the responsiveness or multiple device compatibility of the website with the help of Chrome device simulator. He said that the whole website is compatible with all the type of devices. Sometimes the webpages takes more time to load on the browser or in response of browser. No my review is not differ from them; I also think the same about the website. The website is designed well and fully responsive in design for the any devices. All the functionality and features are provided by the website which requires in a classified website. It also provides each and every thing to the people which are needed in their daily life. The contents of the website are fully reliable, focusing on the goal of the website and provide the complete information about the website, products and services offered by the website. Instead of these things the website need some improvement in the design of the website and also some additional features require making the website more reliable and usable such as: email listing and subscription of the website newsletters, etc. Due to the rapid growth of mobile industries and technologies the RWD (Responsive web design) is in demand. Previously web/websites are accessed only in the laptop, desktop, and PCs, due to this websites are developed for the fix size of screen because the screen sizes of the devices are fixed but after the revolution of mobile technology there is lots of devices are developed by the mobile companies with the different sizes of screen and with lots of features such as: internet access, entertainment, music, videos, etc. so the peoples are attracted towards the smartphones and like to use smartphone for the web access and many other things. This is the main reason of adopting RWD principles for web development. So the web designer and developer have to develop the website based on RWD principle so the websites can be easily accessed by the user in any devices such as: mobile, tablet, smartphones, mac book, etc. The responsive web design principle is the method of designing and developing the platform independent web pages or website. It is an approach which suggests that the design and development of web pages and website should respond to the users’ environment and behavior based on the orientation, platform, and screen sizes. The responsive web design practice consist of a mix of the flexible grids, layouts, images and the uses of intelligent uses of CSS media queries. According to the RWD principles of web design the websites are automatically switches to accommodate for resolution, scripting abilities and image sizes when the user switch from their laptop, PCs to smartphone, tablet, etc. We can also say that, the website should have the technology to respond automatically according to the user’s preferences. Flexible image: Images are the important part of the website content, because it makes the look and feel of the webpages more interactive. Previously the web developers are deal with the development of the image-heavy website but now days in the mobile responsive website require scaling down using the height and width attributes of the HTML. Images cannot take up all the spaces in the webpage, so the developers often crop those with the uses of CSS. To make the image responsive for multiple screens they have to define the size of the images in percentage instead of pixels. Media Queries: Media query is the one of the most important element of the responsive web design principle. It will allow the designers to use the same HTML and CSS document for creating the multiple layouts. Fluid Layouts: The responsive website always has the flexible layout of the website content. The parameter used such as: columns, spacing and containers should be flexible. The web developers don’t have to focus much on the pixels for designing, they have to use the web layouts or percentage which needs some calculations. Chrome device simulator is the software program which allows the user to simulate the website pages in the different sizes of the device screen. The chrome device simulators are basically used to check the responsive properties of the website and different pages of the website. It has the built in mobile devices through which anyone can resize the browser window to popular mobile device which is used by the users such as: Galaxy S5, iphone6, iphone6 plus, Galaxy note, etc. It is an open source software program so that anyone can easily use it by downloading and adding it in the browser which they use as their default browser. The web testers who test the different aspects of the website are used the chrome device emulator tool to check the external behavior of the website such as: making transaction and calculation. It is the partial implementation of the software. To check the responsiveness of the website, we just have to select the different resolution of devices screen in the dropdown menu open when click on the chrome device simulator after that the browser window will resize according to the selected resolution which shows the web content are properly shown in that resolution or not. 1. The chrome device simulator provides the ten different types of predefined device screen sizes to check the responsiveness of the web pages. 2. It provides both view option of the website in landscape and portrait view which gives a better user experience to the user. 3. The chrome device simulator software is also efficiently works with the local file. 4. There is same scrollbars exist as in the real mobile devices. The Chrome device emulator is allows the users to feel close towards the real mobile device while testing the website. 1. The chrome device simulator is the cost efficient, helpful and useful to make and provide the test result when the web testers don’t have the too much time to buy a new testing device to check the website and submitting the test report on the deadline given. 2. It is open source software so that it can be easily download and used by all the users. 3. It also provides the screenshot facility in the Microsoft office with easy capturing. 1. The chrome device simulator is unable to simulate the battery related issues. 2. The chrome device simulator is unable to simulate the interrupts for incoming calls and messages. 3. The chrome device simulator cannot correctly simulate the real colour display of the mobile devices when the real mobile device is in black or in sunlight. 4. It performs less than the original device at the same time. 5. The simulator is mostly suitable for certain types of functional test executions. The Chrome dev tool is the device mode that is used to build the fully responsive and mobile-first website. The tool is mainly used to emulate the wide range of devices and their capability. The Ripple emulator (Beta) supports the various mobile environment platforms which is used to moderate the challenges being faced by the mobile device developer. This report is prepared to the motive of test the responsiveness of the nominated website and elaborated the responsive web design principle and features of the responsive website design. In this report we check the whole website and the responsive characteristics of the website with the help of chrome device simulator software tool. The chrome device simulator tool is the type of software program which is used to check the responsive characteristics of webpages. After reading this report the readers can able to understand the RWD principles of designing the websites and uses of the chrome device simulators tools. Lynam, Max. "Testing Your Responsive Web Design With Chrome Developer Mobile Emulator Tool - Twitter Bootstrap Leader In Responsive RWD Joomla Templates". Joostrap.com. N.p., 2016. Web. 11 May 2016. "Moodle Mobile Development Using Chrome Or Chromium - Moodledocs". Docs.moodle.org. N.p., 2016. Web. 11 May 2016. Gumtree. (2016). Gumtree Australia. [online] Available at: http://www.gumtree.com.au/ [Accessed 15 Sep. 2016].